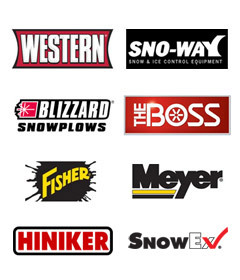 We offer some of the best snow removal products in the industry including Sno-Way , Brands. Our plow installations are done professionally and we will show you how to get the best out of your snowplow. Spreader installations can include tailgate spreaders and v-box spreaders as well. At Michaud's Trailers we are familiar with your Ford, Chevy, Dodge, Toyota, Nissan and Jeep trucks. Keep in mind 4x4 trucks make the best plow trucks! Sno-Way Plow and spreader service parts are always kept in stock and a priced fairly. Our dealership has the most experienced factory trained snow plow and spreader service technicians in the Auburn area. We have proudly been serving the state of ME and hope to be your preferred Snow Plow Dealer.